We are happy to announce that we have received confirmation for the dates of the PADI Instructor Development Course (IDC) & PADI Instructor Exam (IE) for the year 2014. So for those who are planning to complete their PADI IDC with Downbelow next year, please refer to the published dates to be found on Our Next IDC Course page. Anyone who is dreaming of becoming a diving instructor are invited to join the IDC subject to meeting certain pre-requisites. It is designed to develop a well-rounded diving educator who can work anywhere in the world. You will gain knowledge in areas as diverse as risk management, teaching children, hands-on experience of the business of diving, and PADI standards & procedures. Upon successful completion of the PADI Instructor Exam you will be a certified PADI Open Water SCUBA Instructor! 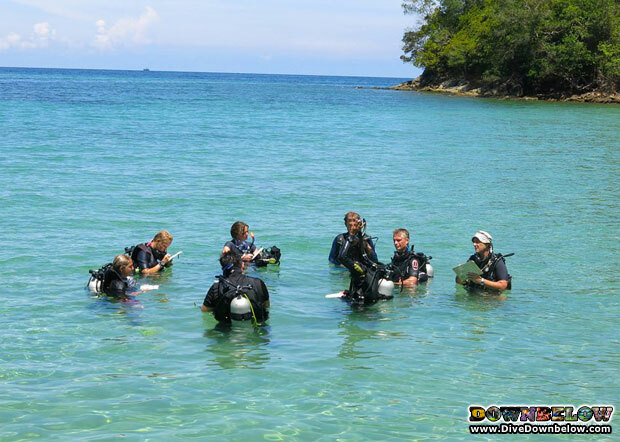 PADI IDC’s with Downbelow are held at our PADI 5 Star IDC Dive Centre in Tunku Abdul Rahman Park, Sabah Borneo. Should you have any enquiries please contact us, either through email, phone or meet us in our office in KK Times Square, Kota Kinabalu, Sabah.